My mom has 6 sisters and 2 brothers, most of which have three kids and some of those kids are having kids. Needless to say, I have a big family! 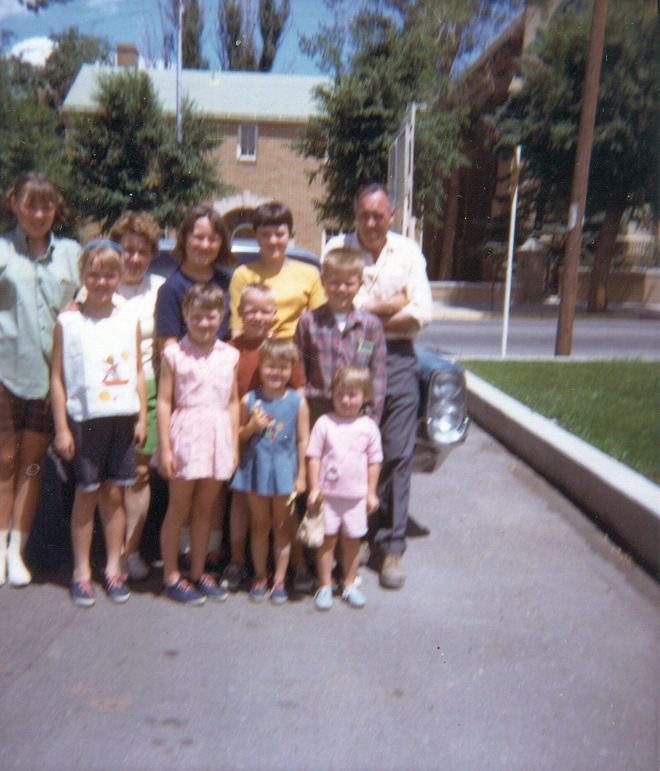 I was having dinner with my parents last night and my mom was talking about this photo -- it was taken before her family left Rock Springs, WY to drive west to Port Orchard, where all 11 of them lived in a one bedroom motor-home for a while. I am sure it was only a few weeks, but you know when your parents tell you a story when you are little and it one day seems like one year?! Anywho, my mom's family history is pretty neat, so I thought I would share a little! Oh, and I got a promotion at the real work, nbd.